Following are brief descriptions of recently published books that are certain to please fans of funk, soul, jazz, hip hop and reggae music. Though Al Green collaborated with Davin Seay on an “autobiography” in 2000, most fans were unsatisfied with the result, which was famously short on details due to Green’s reluctance to actually sit for interviews and tell his own story. Now Jimmy McDonough has attempted a more definitive biography, likewise working from previously published interviews with Green and secondary sources, in addition to new in-depth interviews with many colleagues and associates. 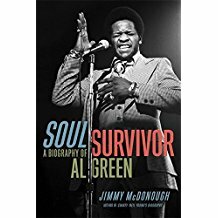 The result is Soul Survivor, which chronicles the many sides of Al Green, from his days as a soul singer to his transition to Reverend Al Green and the many facets of his character that fall in between and outside of these boundaries. Not all of it is pretty, but Soul Survivor is likely as close as we’ll ever get to understanding the man behind the music and the pulpit. Seven short years – that was the entire length of the career of one of the giants of soul music, Otis Redding, from the first single he cut as a teenager in 1960 to his untimely death at the age of 26 in December 1967. Now, on the 50th anniversary of Redding’s death, Jonathan Gould finally offers a biography that’s a fitting tribute to the architect of Southern soul music. 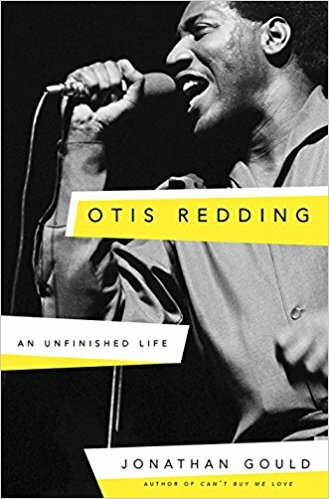 Otis Redding: An Unfinished Life, however, is so much more than one man’s story, as Gould digs into the social fabric of the era, exposing the racial tensions and realities of faced by black musicians of his generation. Impeccably researched, respectfully written, and highly recommended! 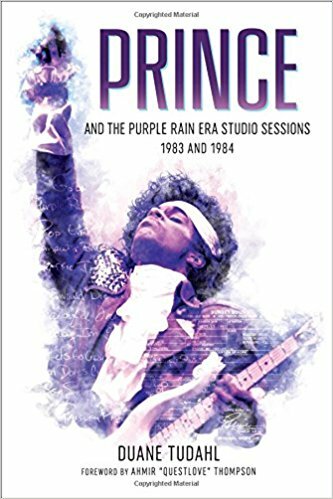 Described as “the definitive chronicle of Prince’s creative brilliance during 1983 and 1984,” author Duane Tudahl’s 552 page volume is a must have for any serious Prince fan. Delving into the brief but intense period that produced Purple Rain, Tudahl expounds on Prince’s professional as well as his personal life. But this is not a tell-all, biopic-type treatment. Rather, the focus is on Prince’s studio sessions and includes copious details on recording studios, which songs were tracked at each, session personnel, producers, engineers, and the stories behind the sessions. Also included are details regarding Prince’s work with The Time, Vanity 6, and the Revolution, including his frenetic schedule of rehearsals, tours, and filming. Tudahl has been covering Prince for over 20 years, and is able to draw upon interviews he conducted with a wide range of Prince’s associates, adding to the authoritative nature of his reporting. This is the first book in the series; Tudahl is already planning the second volume, which will cover 1985-1986. 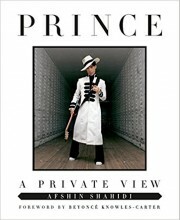 We can’t include just one Prince-related book when there are so many to choose from. If you’re more interested in a visual representation of the artist than a chronology of his early recording sessions, then check out Prince: A Private View. 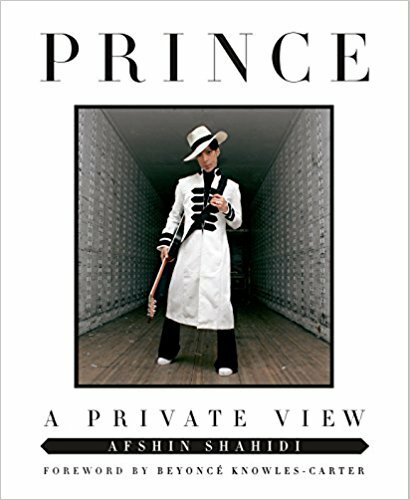 Featuring many never-before-seen photos by Afshin Shahidi, Prince’s primary photographer, this collection captures both the glamour and mystique of the artist. Though the text takes a backseat to the vivid portraits, Shahidi does provide some context to the photos in the form of short stories. It should be noted, however, that this isn’t a “coffee table” book, but a standard-size volume. Even if we’re weren’t based in Indiana, we’d still have to jump on The Jacksons: Legacy documenting the state’s most famous musical family. Plugged as “the first official book on the Royal Family of Pop,” the Jacksons collaborated with well-known music industry writer Fred Bronson, who was allowed access to the family archives and conducted interviews over a two week period. Though it’s highly unlikely that any new information was uncovered in that extremely brief period of time, we’re at least promised some previously unpublished photographs, including documentation of official merchandise and other ephemera. 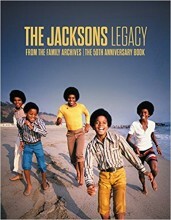 The book coincides with The Jackson’s 50th anniversary, which may be reason enough for fans to pick up a copy. There’s nothing like a comeback story to warm our hearts, especially at Christmastime. Through honest, unflinching reflectiveness, Gucci Mane has given us just that—a down-and-out but not done-and-out narrative of his journey so far. 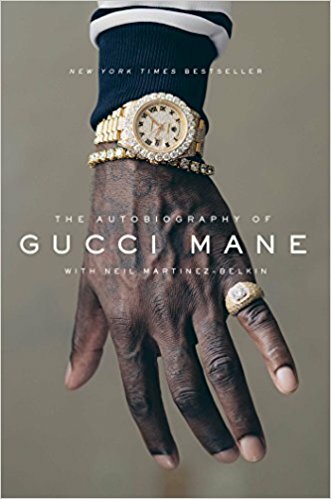 Mane tells his story in his own words, covering his early years as Radric Delantic Davis to his star-studded fame as Gucci Mane, trap pioneer and mentor to a subsequent generation of artists and producers: Migos, Young Thug, Nicki Minaj, and Zaytoven, to name a few. Detailing how choices to be part of the drug dealing world continuously dealt him one-step-forward, two-steps-back in the music world, Mane also confronts his dark past and explains how his time in lockup became his most positive life-altering experience. It is one of the greatest comeback stories in the history of music, and it is one you won’t want to miss. Chuck D.’s dedication to hip hop’s fan base has been solid since the start of his Public Enemy days, and with this release he continues to gift us in the form of vital information about rap and hip hop’s history. 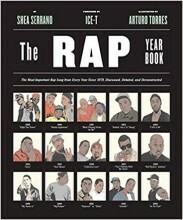 Based on his long-running show on Rapstation.com, D’s comprehensive collection of pivotal moments and influential songs in the genre’s recorded history is a first in the hip hop scholarship world. Included in this chronological collection are songs such as Kurtis Blow’s “Christmas Rappin’” to Kendrik Lamar’s ground-breaking verse on “Control”, and all hits in-between. 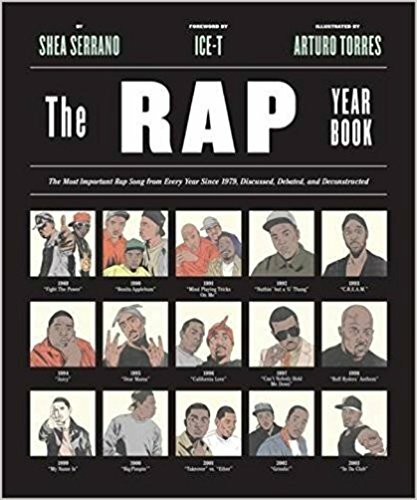 Incorporated into the tome are key events in hip hop history, from Grandmaster Flash’s first scratch through Tupac’s holographic appearance at Coachella, interwoven with 100+ portraits of various hip hop artists. This work is a worthy addition to any hip hop lover’s collection, and for those that study or work in the genre, it is a necessity worth owning. 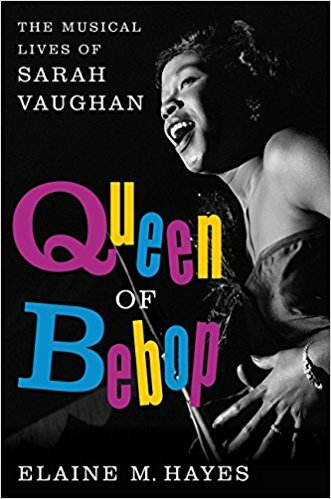 One of the greatest jazz vocalists of all time, Sarah Vaughan has been the subject of previous books, but the only full length biography of note was Leslie Gourse’s Sassy: The Life of Sarah Vaughan, published nearly 25 fives ago. Now jazz historian Elaine M. Hayes offers a more definitive treatment in Queen of Bebop, which digs deeper into her life not only as a performer, but as a black woman facing the challenges of race and gender within the music industry and beyond. A must read for anyone interested in jazz and popular in the latter half of the 20th century, African American music and musicians, or music in general. 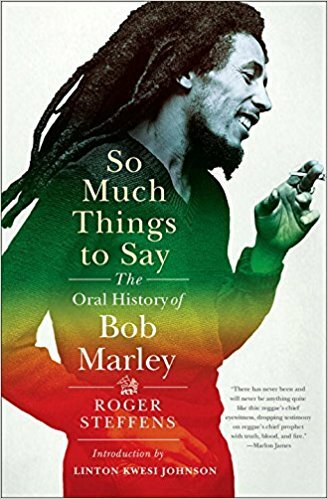 So Much Things to Say is a must have for any serious Bob Marley fan. Drawing on testimonies by friends, relatives and musical associates, author and archivist Roger Steffens—the leading authority on Bob Marley—tells the story of the reggae legend, from his younger days in Kingston to his professional years. As the title implies, this book includes a great deal of information regarding the life of Marley, including the violent confrontation with Lee “Scratch” Perry, his performance for freedom fighters in Zimbabwe, details on Marley’s final months, controversies surrounding Marley’s death, and many more first-hand accounts of his life. So Much Things to Say will serve as a valuable resource for anyone who is interested in the history of reggae music and Marley’s incredible influence upon the genre and global culture.